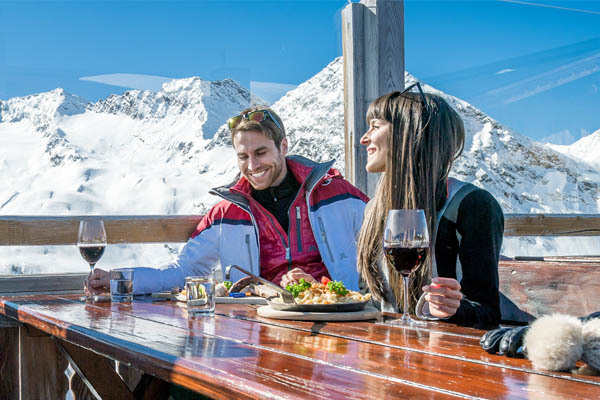 We know how important refuelling is on a ski holiday and Obergurgl does not disappoint on the gastronomy front on the mountain. Here you will find something for everyone’s taste buds. Located at the top of the Hohe Mut gondola, here you can choose between the cosy dining rooms and open fireplace inside, or the big sun terrace and grand views outside. 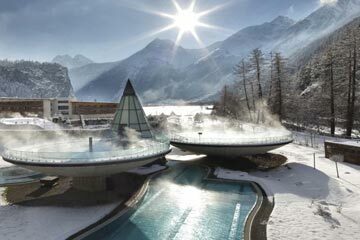 It is an ideal place to regroup, refuel and get back on the mountain! 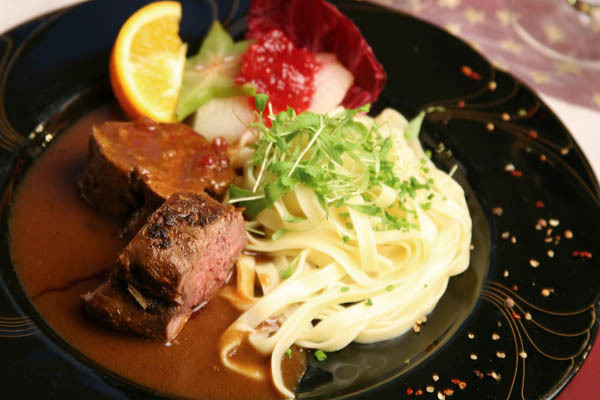 A top recommendation is to try the Tyrolean egg noodles with cheese and roasted onions. 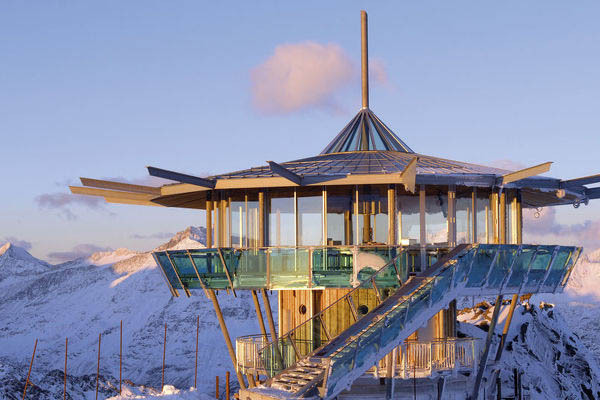 Visit the highest point in the resort at 3,082m to check out the glass-walled restaurant, panoramic bar and viewing platform. It’s located on the Wurmkogel Peak. Staff in traditional costume hand out steaming plates of regional food, hot mugs of glühwein and shots of their legendary pine schnapps. Here you will enjoy local Austrian and Tyrolean cuisine from the á la carte menu. Not too pricey and perfect for either a quick snack or a sit-down meal and relax those tired legs. 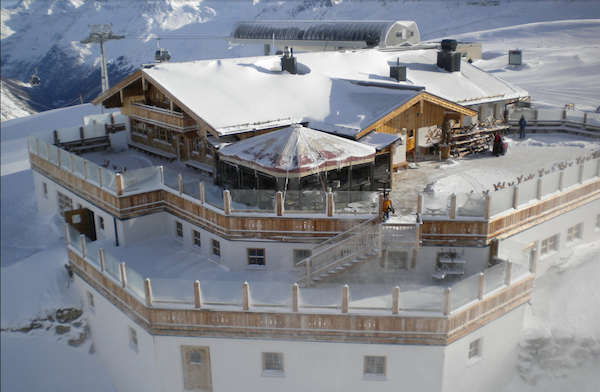 We hope you found The Best Obergurgl Mountain Restaurants post helpful.